Buckwheat is cultivated for its seeds which can be eaten whole or ground into flour. The name buckwheat is a misnomer because this plant is not related to wheat. Instead of being a grain, buckwheat is a fruit seed that is related to knotweed, rhubarb and sorrel. Since this plant is gluten-free, it is often used as a substitute for grains in a gluten-free diet. 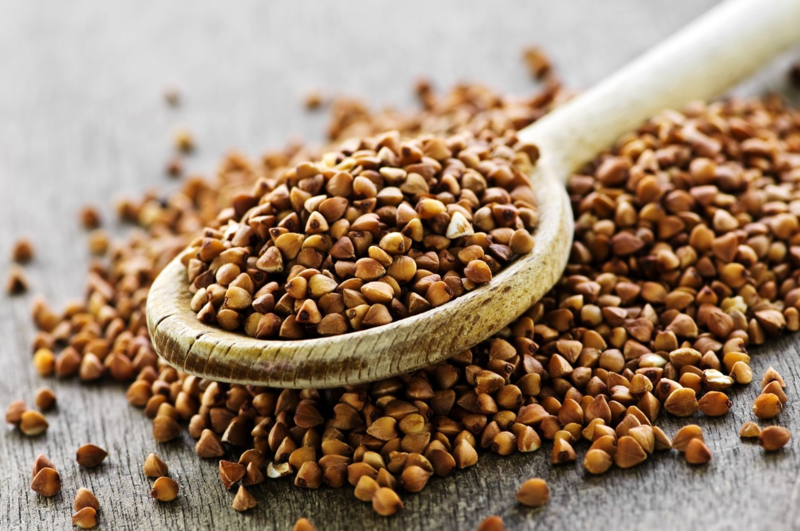 Buckwheat can be used to make gluten-free pancakes, porridge, soba noodles and more. It also contains high levels of copper, magnesium, manganese and fiber. What is Whole Grain Buckwheat? Whole grain buckwheat is made of buckwheat seeds, also known as buckwheat groats. Whole grain buckwheat can be found in many recipes for raw food diets such as cookies, cakes and granola. While whole grain buckwheat is often added in recipes, it can be cooked alone as a gluten-free alternative to rice. Use a 1-to-2 ratio of buckwheat to water when cooking buckwheat. Bring the mixture of buckwheat and water to a boil. Simmer the buckwheat for 30 minutes. Buckwheat groats can also be ground into gluten-free buckwheat flour which can be used to make soba noodles, pancakes and breads. In small baking projects, such as muffins and pancakes, you can completely substitute all-purpose flour for buckwheat. Just make sure to include baking powder so that your baked goods rise. In large baking projects, consider substituting 1 cup all-purpose flour for ½ cup buckwheat flour and ½ cup all-purpose.